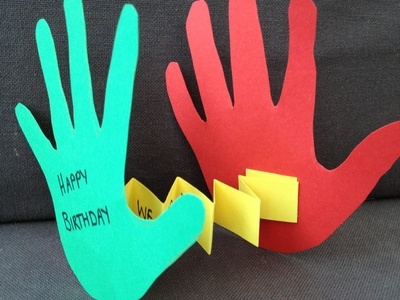 An unusual card that's personalised by the shape of your kid's hands. You can write any message inside that you like. 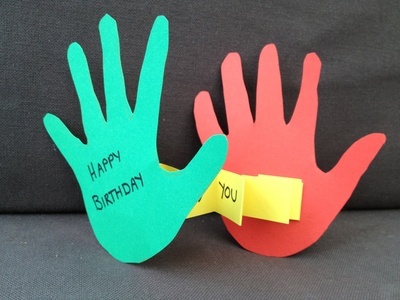 My son loves anything that involves drawing around his hands so this card was perfect to make for his Dad's birthday. 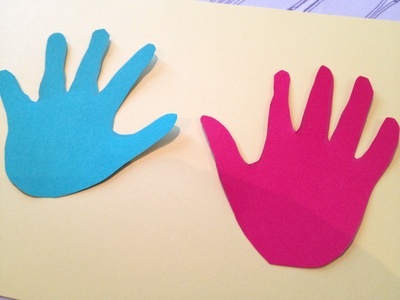 Draw around your kid's hand on a piece of coloured card. Cut out the hand shapes. Cut a long strip of card and fold in a concertina shape. 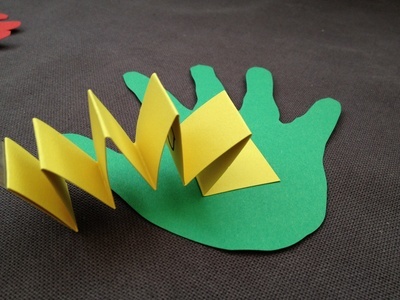 Stick the concertina strip between the two paper hands. 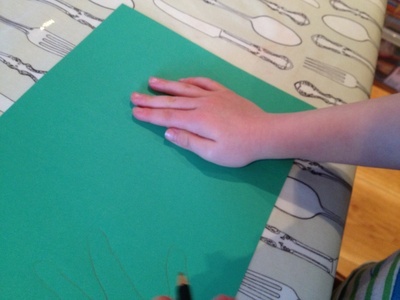 Write a message inside, press the hands back together and pop it into an envelope.